We are excited to launch this video page for women who prefer to speak their story rather than write it. We invite you to share YOUR story of overcoming the fears, beliefs, or circumstances that once held you back in any way. 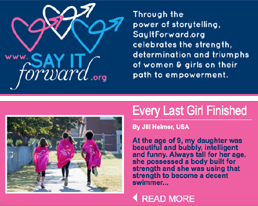 We know that your story can encourage and inspire many other women & girls. We are very grateful to Elisa Gambino of One Productions for her excellent advice and tireless support, and we admire her commitment to the empowerment of women & girls in her personal and professional life. We also extend many thanks to Scott Hayes of Altera Web and to Michele Bires of Sefcik Productions for their work in bringing this video page to life. 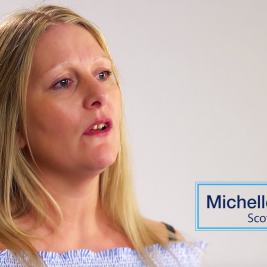 VIDEO: Michelle Wright from Scotland shares her perspective on empowerment, midwifery, and motherhood. VIDEO: Amanda Saambou, a midwife from South Africa, shares her commitment to supporting the health and survival of women and girls. VIDEO: Sabrina Speich shares her story of empowerment, of helping other women, and of her work as a midwife in Mexico. 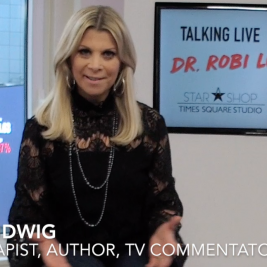 VIDEO: In “The Importance of Storytelling” Dr. Robi Ludwig shares her perspective on the transformative power of telling our story. 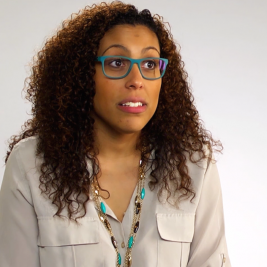 VIDEO: Whitney Dowers from Canada shares her story about how other people’s assumptions about us can affect our lives.